Digital photographs of glass objects. These photos were created as a starting point for an upcoming body of work. 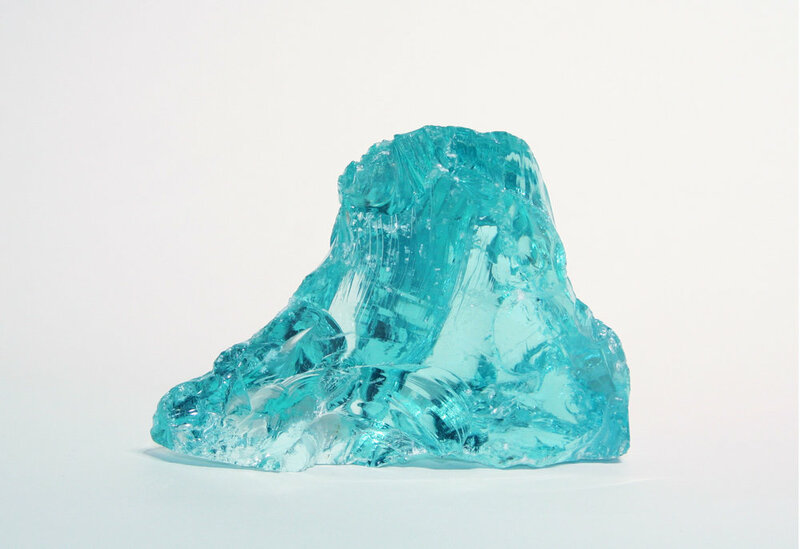 The project began with the acquisition of large chunks of turquoise glass collected by my grandfather as mementos throughout his 40-year career at a glass company. The glass pieces were created during factory maintenance closures where the left over glass would be drained from large tanks, allowed to cool, and then broken using pickaxes in order to be removed more easily. I became familiar with the glass objects as decorations within my grandparent’s home. The objects have developed into heirlooms, passing down through generations within my family. The photos are an early study in the upcoming body of work which will explore the way objects out-live people and become proxies for the life they were once an accessory too.